Any reliable plumber will tell you that the best way to successfully clean a drain is through jet blasting. This relatively new method of clearing blocked drains has become a staple in any professional plumber’s arsenal. Not all plumbers use this method just yet, as it can be expensive, but it has a 99.9% success rate when clearing drains so it is extremely reliable. In areas like Peakhurst, where trees are extremely prevalent, these ‘root blasters’ are a must for blocked drains. 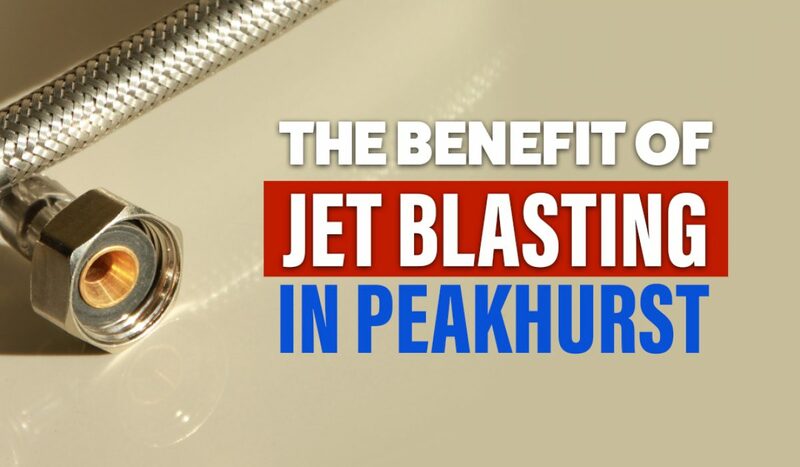 Here’s why your plumber in Peakhurst should work with a jet blaster. First and foremost, jet blasters are powerful hydro jetting machines that blast water with extremely powerful force, removing everything in their way, even the toughest of blockages. Jet blasters don’t affect the environment with any chemicals or bad by-products, running purely on water. On top of clearing tough blockages, these blasters also clean away fats, oils, and grease, leaving you with a seamlessly clean drain. There is no need for chemicals anymore when it comes to cleaning out the drains of these substances. Generally, blockage problems are solved with ‘plumber’s snakes’, devices that would be pushed through the drain and either break down the blockage or cling onto it so it could be pulled out. This method, however, is unable to solve large blockage problems, like tree roots, which are prevalent in Peakhurst. A drain blocked by tree roots is a huge nuisance. It will lead to very slow drainage and a poor flow from your taps. Jet blasting will clear out these blockages and bring your pipes back to brand new. Tree roots may seem solid and hard to remove, but they are no match for the powerful stream of the jet blaster. When it comes to clearing out your drains, jet blasting is the go-to method. Peakhurst is an area that is prone to a lot of tree root problems, problems that are often ‘dealt with’ with a plumber’s snake. While this will generally relieve the problem for a short amount of time, the tree roots will persist. On the contrary, jet blasting will get the job done every time. Got a drainage problem? We at Plumbing Central can help. For the best plumbing services in Sydney and the most promising jet blaster drain cleaner, give us a call on 04 1001 1999!